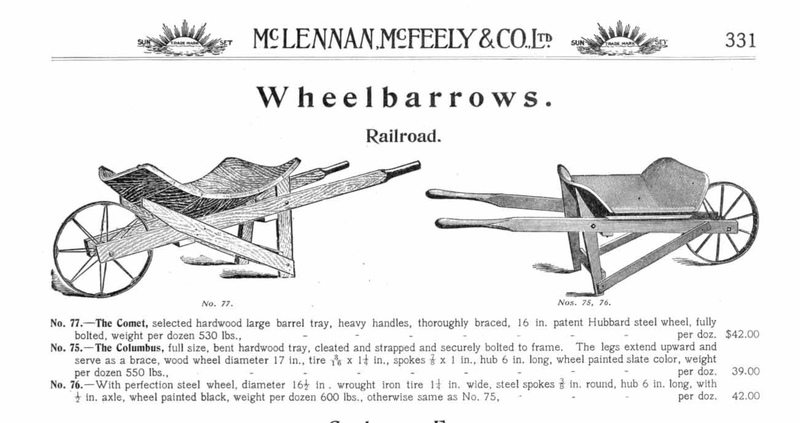 Railroad wheelbarrows from McLennan and McFeely catalogue. 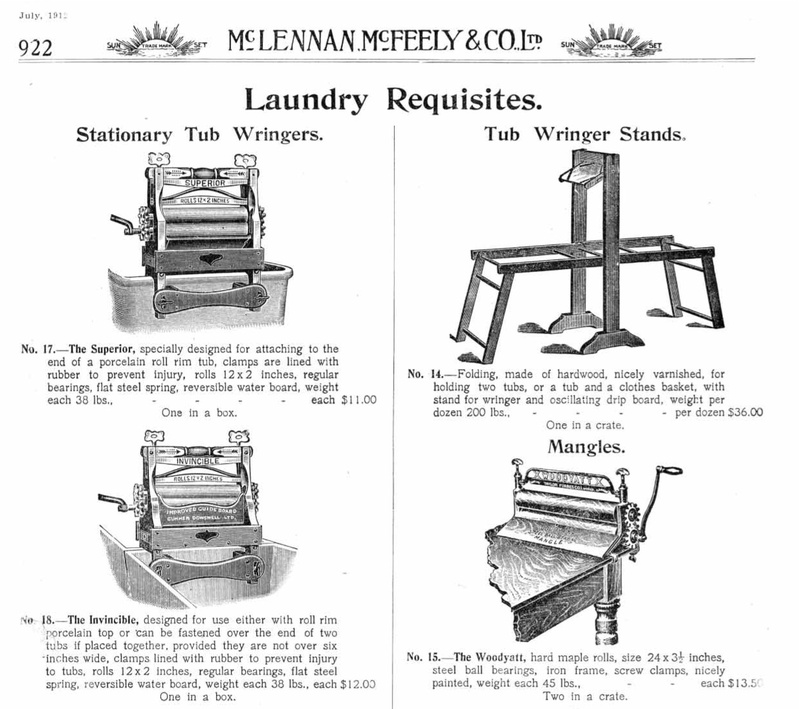 I posted previously about this excellent resource which the City of Vancouver Archives has put online: the McLennan and McFeely catalogue of industrial, farm and fishing equipment, 1908-1914. In that post, I moaned a little about how nice it would be to be able to download a single PDF of all 1400+ pages. To my delight and happiness (and surprise, I must admit, because it can have been no trivial task) Sue Bigelow of the Archives has posted a note indicating that they have now made such a document available for download (link in upper right hand corner of this page). It is 270 megs, but I have it now and what an amazing resource. Thanks so much to Sue and to the City of Vancouver Archives – as I said, this is potentially a huge aid for historical archaeologists and indeed any archaeologist who encounters historical debris. Archaeologists? No -- "Pothunters" destroying a site on the Columbia River, ca. 1966. Source: flickr user gbaku. Archaeology in Action is a large set of pictures of archaeologists doing archaeology on the photo sharing website flickr.com. Not too much Northwest Stuff there that I could find with the notable exception of many pictures put up by a former University of Oregon professor under the name of gbaku (you can find his real name easily enough). His pictures are a wonderful tour of Oregon and Alaskan archaeology of the 1960s and 1970s – these are not sets of pictures of stratigraphy, or backdirt (interesting though those things are) but are predominately of, well, archaeologists in action. It would be fun to see more NW Coast pictures up here — I know Grant has a large collection of pictures of archaeologists going about their business and I am sure we all have some pictures of people in with the endless pictures of yet another bone. Erle Stanley Gardner, the author of the Perry Mason mysteries and many other books, and Luther Cressman, pioneering archaeologist and ex-husband of Margaret Mead, at Fort Rock Cave in 1966. Bing Crosby being invested as Squamish Chief Thunder Voice. In 1948, Bing Crosby, then a first-rank international star, visited Vancouver – and ended up being invested as Squamish Chief Thunder Voice, among other civic performances. 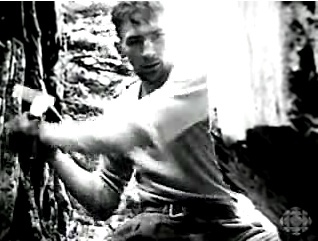 The Vancouver City Archives has the video (1.00 minute in). By the way, what is up with coastal First Nations adopting feather war bonnets? Is this a kind of weird double reverse emulation: trying to look more stereotypically Chiefly in the eyes of the majority population? Is it intra-aboriginal cultural appropriation? Or do they just look freakin’ awesome? Note the tomahawk as well in the picture above. Someone should write a paper on “Plains Paraphernalia as Signifiers of Rank on the Historic Northwest Coast”. Or maybe they have, already. I’d read it. Tlingit dagger hafts, Kluckwan, Alaska. Purchased by George Gordon from Louis Shotridge at the Portland Fair, 1905. Penn Museum Objects NA1288a/b. From the excellent University of Pennsylvannia Museum website, you can download back issues of their magazine “Expedition”, including this article on aboriginal metallurgy in Northwest North America (PDF). 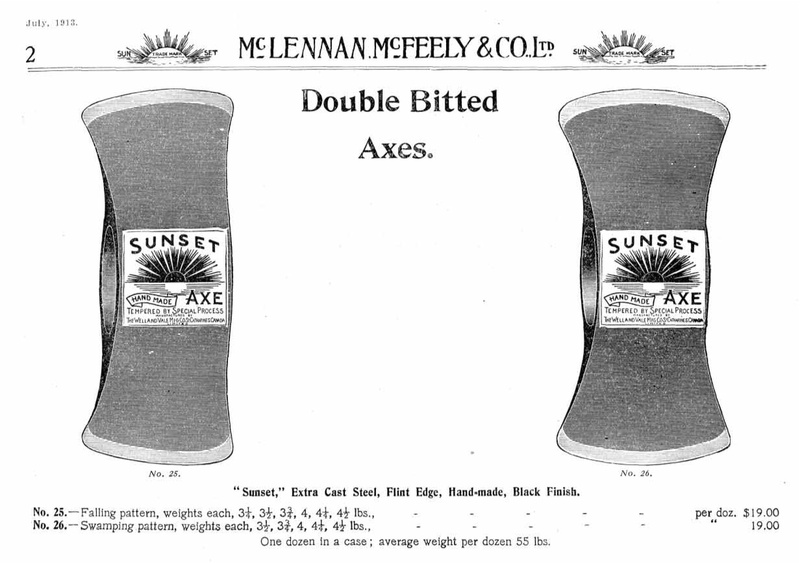 The caption below is from that article: the two astonishing daggers being described are shown above. Seriously, this is metalwork of the highest order, reminiscent of, say, Mycenaean pieces. 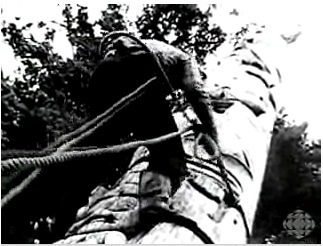 1969 caption describing the two daggers, above. Aboriginal women at New Westminster, 1903. There is something about the above picture that is so evocative: Native women washing clothes or getting water while in the background the first construction of the Fraser River Bridge at New Westminster rises. With a different caption this could be the Ganges River, or the Colorado: always women, always squatting, always the back turned to the viewer and the colonial future in the background. From the idiosyncratic New Westminster online photo archives – this uses the LoC system so you have to search for, say, “Indians” rather than “First Nations”.